The mango is the national fruit of India, Pakistan, and the Philippines. It is also the national tree of Bangladesh. Mangoes are widely used in cuisine. Sour unripe mangoes use for chutneys and pickles, with ripe sweet mangoes, use prepare jellies, jam, squash, mango lassi etc. Mango peels and seeds are also used in Ayurved medicine. Mango rich is in fiber. There are different methods of mango pickle, today I will tell Heeng ka Achar.this pickle is very yummy and tangy in taste. 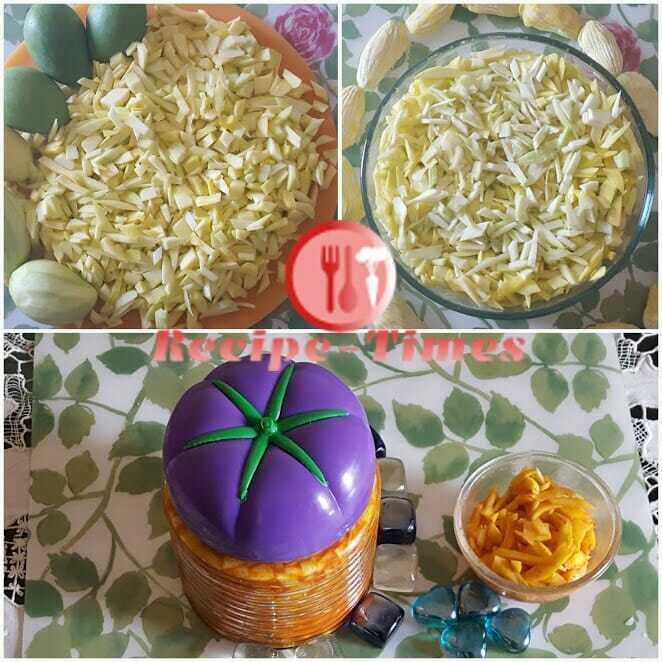 Wash and dry the mangoes, peel them and cut out into the small pieces. Take a glass bowl put the small pieces of mango with salt and mix it well. Set aside for2-4 hours and by this time there will be released some salt water, take out this water in a small bowl and save water, this water use later. Take this salt water, add heeng powder mix well then add this water and Kashmiri Lal mirch on the small pieces of mango, mix very well, cover it. leave for one day like that, instant heeng mango pickle is ready to serve. Take a clean, sterilized glass jar or bottles and store for 3-6 months.